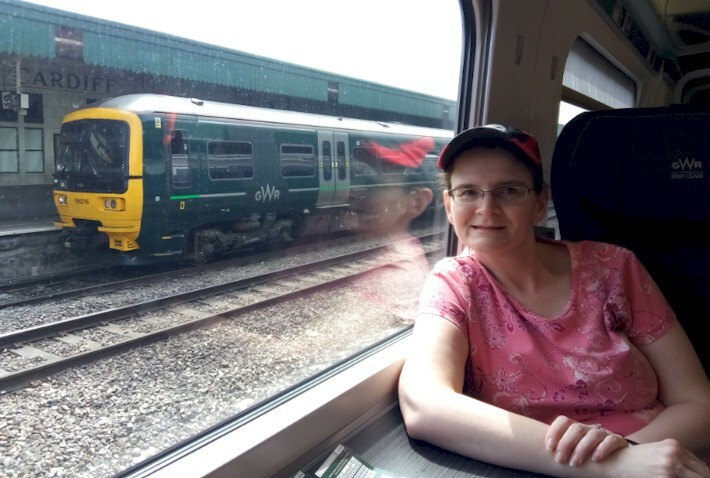 This month's article will focus on the Great Western Railroad (GWR), which we rode between London's Paddington Station in England and Cardiff's Central Station in Wales. The one-way journey between the two stations was 145 miles; the round-trip journey we did on this day totaled up to 290 miles. 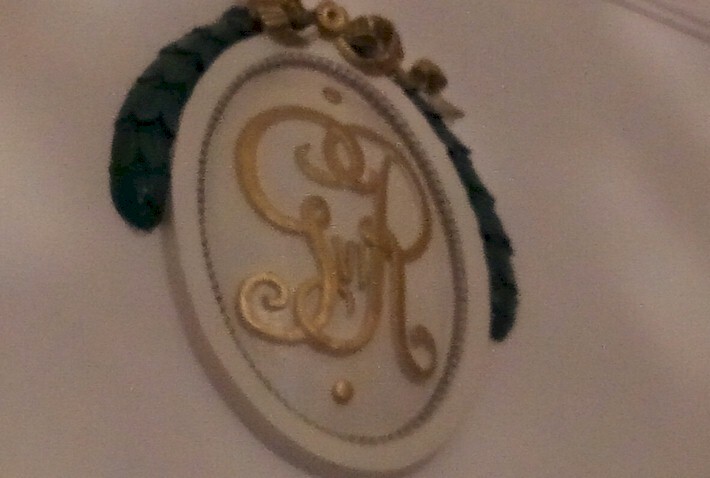 We got special permission to go on a guided tour of the historic First Class Lounge in London's Paddington Station (that was used by the Queen Victoria herself back in the day!) 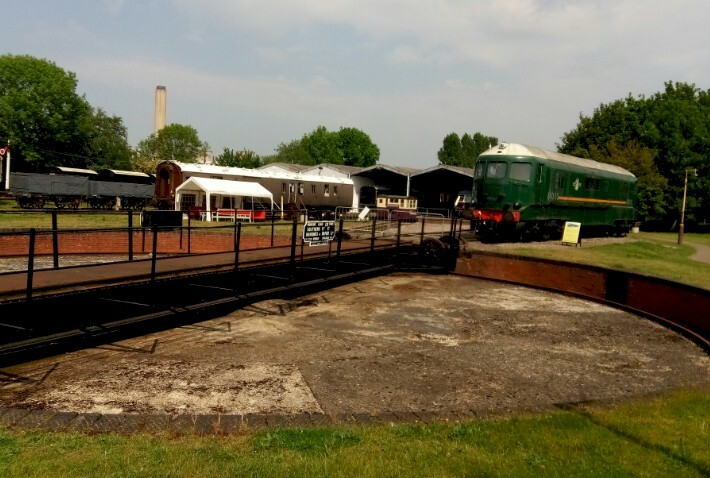 and the Great Western Society's railroad museum in Didcot. More on that in just a moment... but let's hop into the time machine. 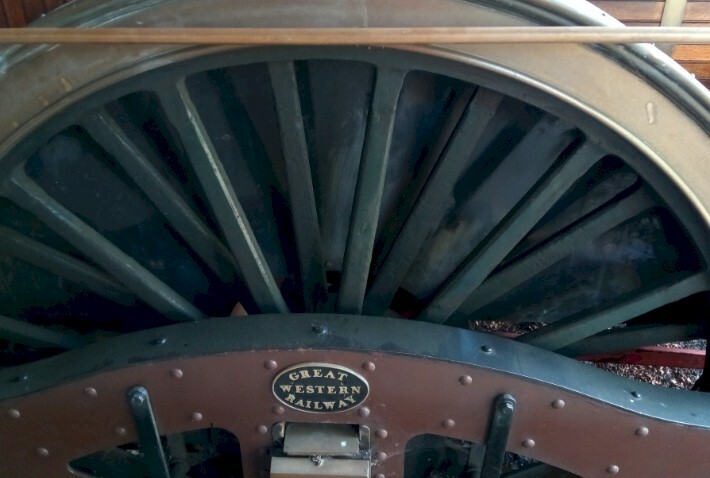 The Great Western Railway has an amazing rich history as one of the first railroad lines anywhere in the world. This British railway linked London with the southwest and west of England, the Midlands, and most of Wales. 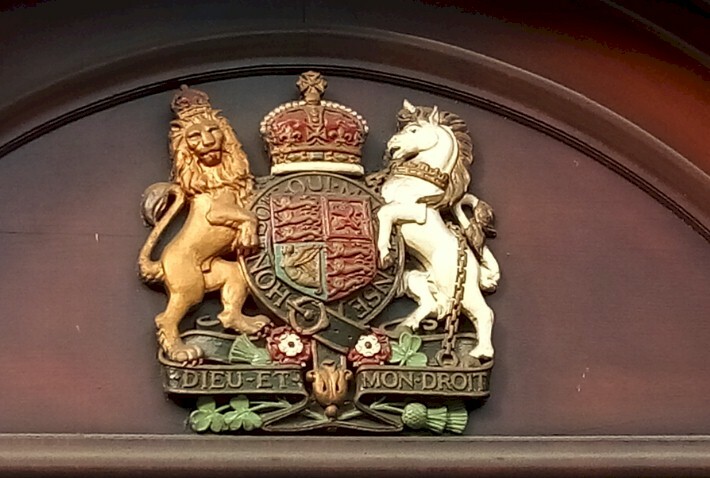 It was founded in 1833, received its enabling Act of Parliament in 1835, and ran its first trains in 1838. 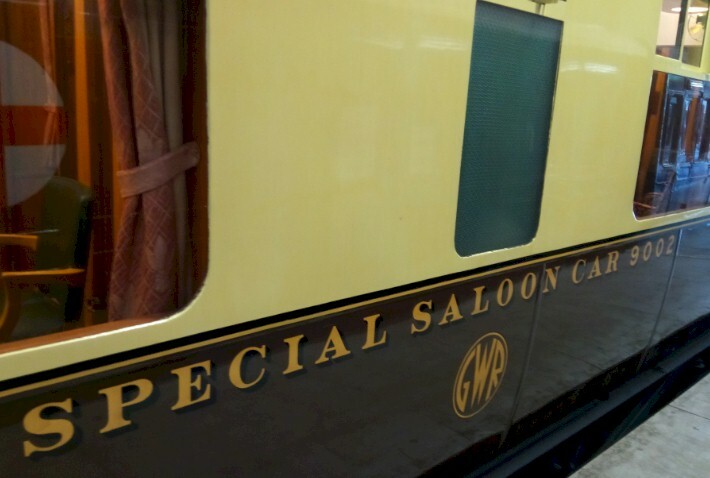 In its early days, the Great Western Railway (GWR) catered to aristocratic and well-to-do passengers, even providing a special waiting room at Paddington for the British Royal Family traveling to and from Windsor. It was was less keen on transporting working-class travelers. These ‘goods passengers’ (as they were called back then)... reduced to the status of things rather than people... were forced to ride in open freight cars pulled by much slower trains, leaving Paddington at 4:30am and Bristol at 10:00pm. On Christmas Eve 1841, a train pulling two crowded wagons along with 17 heavily laden freight cars was derailed by a landslide. Thrown from their seats, eight passengers died and a further 17 were seriously injured. Public outrage at this, and other similar incidents, led to the passing of a law in 1844 that required companies to provide at least one ‘workman’s train’ of covered carriages per day at the rate of no more than a penny a mile. 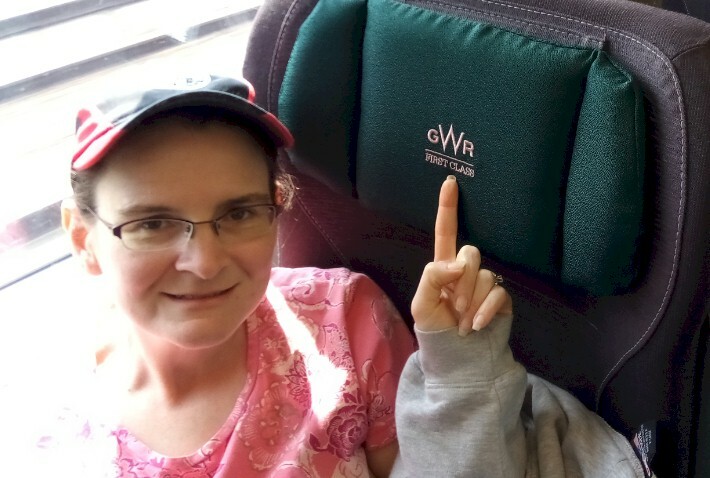 Our journey on the GWR, which took place on Monday, May 21, 2018, included riding just about 80 miles on the original Great Western Main Line (between London-Paddington Station to Swindon). From there, our train broke off of the GWR Main Line and proceeded down what is known as the GWR's South Wales Main Line towards Cardiff. 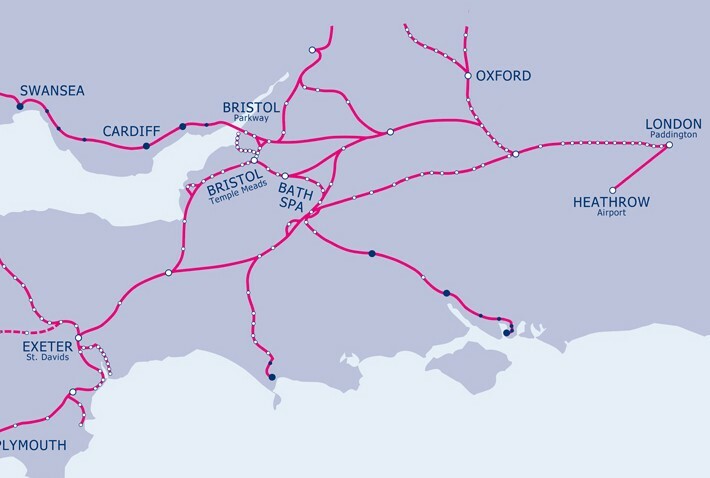 The original Great Western Main Line, completed in 1841, linked London-Paddington Station with Temple Meads station in Bristol (by way of Reading, Didcot, Swindon, Chippenham and Bath). This line was extended westwards through Exeter and Plymouth to reach Truro and Penzance (the most westerly railway station in England). The South Wales Main Line was established in 1852, but after about 50 years of use, the first portion was re-designed to be more direct. The present-day South Wales Main Line out of Swindon was established in 1903 with the building of what is often known as the Badminton Line. This involved the construction of about 33 miles of new track including two tunnels (at Alderton and Sodbury between Royal Wootton Bassett and Patchway). Not only did this provide a more direct route for traffic to and from South Wales, the gradient was easier for coal trains to negotiate, and it was thought that the line would be a boost to what was, at the time of building, the expanding port of Fishguard. 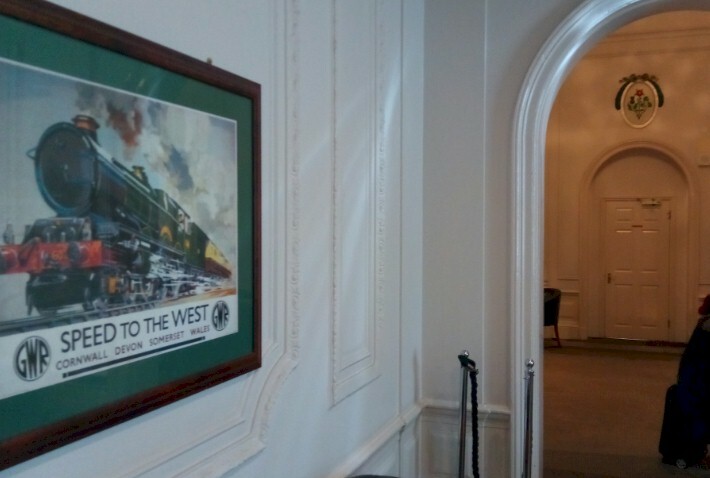 This was the GWR's connection with trans-Atlantic ocean liner departures to the United States and Canada. 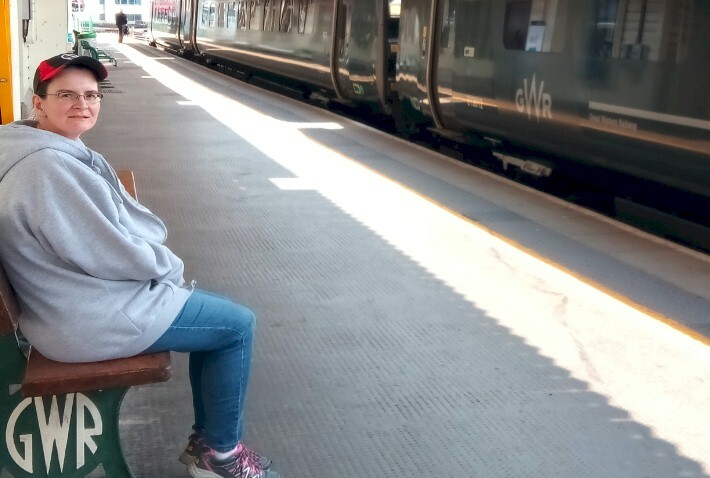 It should be noted that the South Wales Main Line is one of the last of the major inter-city routes in Great Britain to remain un-electrified. Officials announced in July 2009 a plan to electrify the South Wales Main Line as part of a wider plan of electrification on the Great Western Main Line. 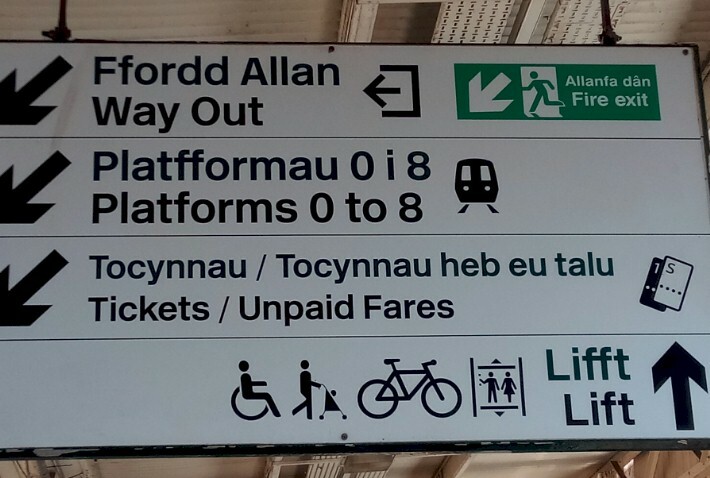 Due to be completed by December 2018, the line from London to Cardiff will be electrified. 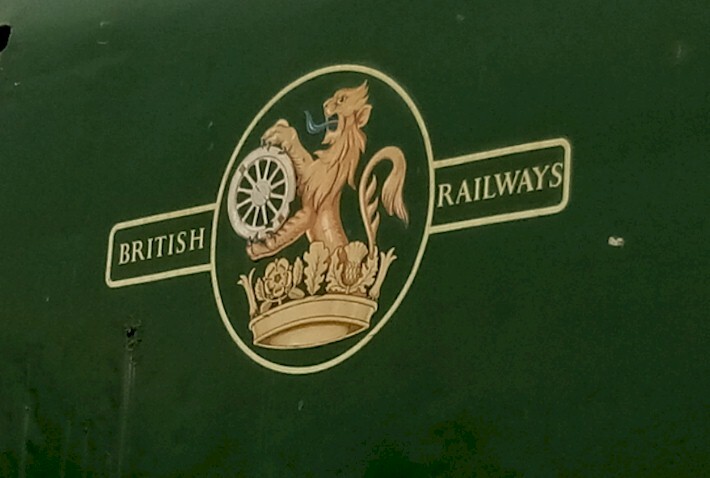 Anyway, returning to the history of the GWR... at the outbreak of World War I in 1914, the GWR was taken into government control, as were most major railways in Britain. Many of its staff joined the armed forces and it was more difficult to build and maintain equipment than in peacetime. After the war, the government considered permanent nationalization... but decided instead on a compulsory combining of the railways into four large groups. The GWR alone preserved its name through the "grouping", under which smaller companies we placed into four main companies in 1922 and 1923. With the outbreak of World War II in 1939, the GWR returned to direct government control. By the end of the war, the government was again planning to nationalize the railways. 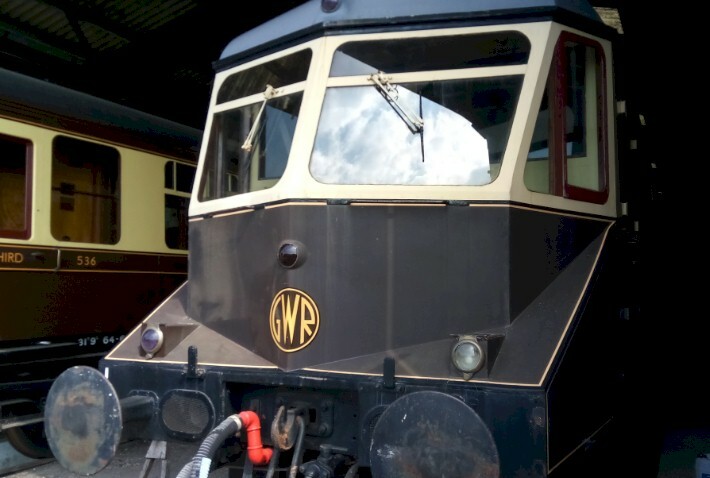 After a couple of years trying to recover from the ravages of war, the Great Western Railroad name was discontinued, and it became the western region of British Railways. 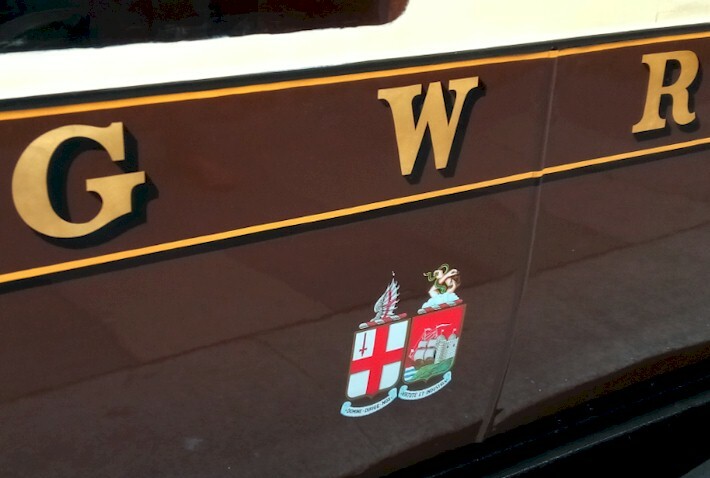 The Great Western Railway Company continued to exist as a legal entity for nearly two more years, until December 1949. About 40 years of nationalization, British Rail was privatized in the 1990's. 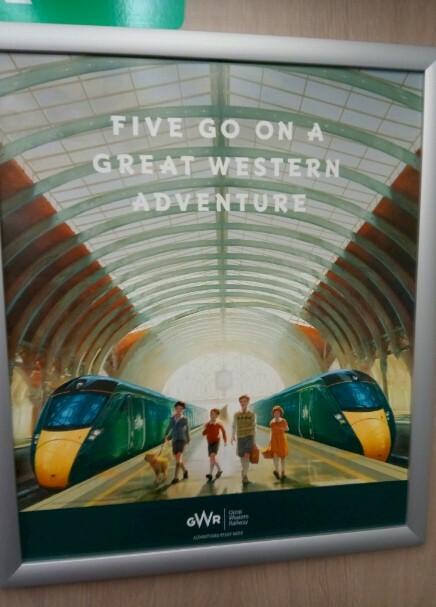 First Group won the franchise, renaming it First Great Western. 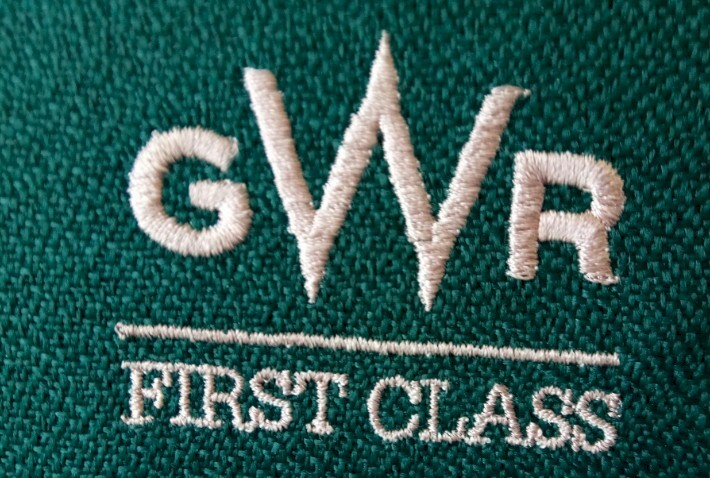 In September 2015, First Group changed its name to Great Western Railway "in order to reinstate the ideals of our founder". The operating infrastructure, however, was transferred to Railtrack and has since passed to Network Rail. 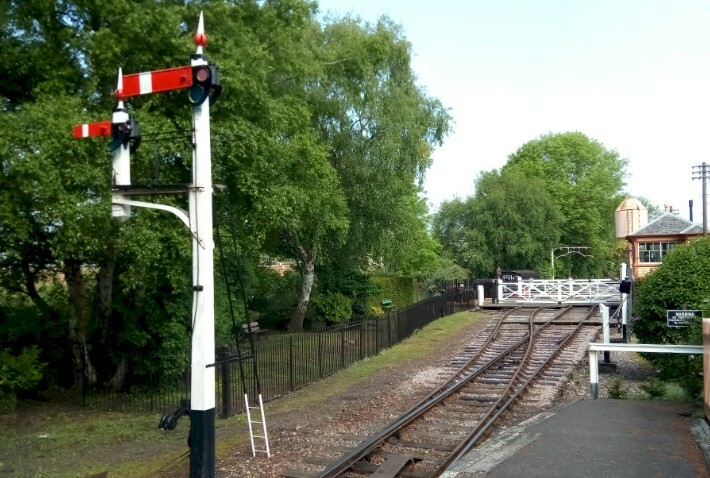 These companies have continued to preserve appropriate parts of its stations and bridges so historic GWR structures can still be recognized around the network. 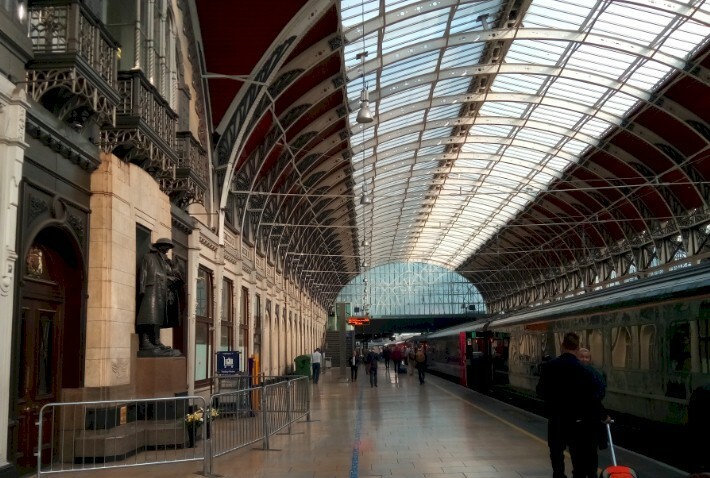 Our journey on the Great Western Railway began at London's Paddington Station; this is where we met up with David Gardner, who served as head of sales and new business for the GWR. 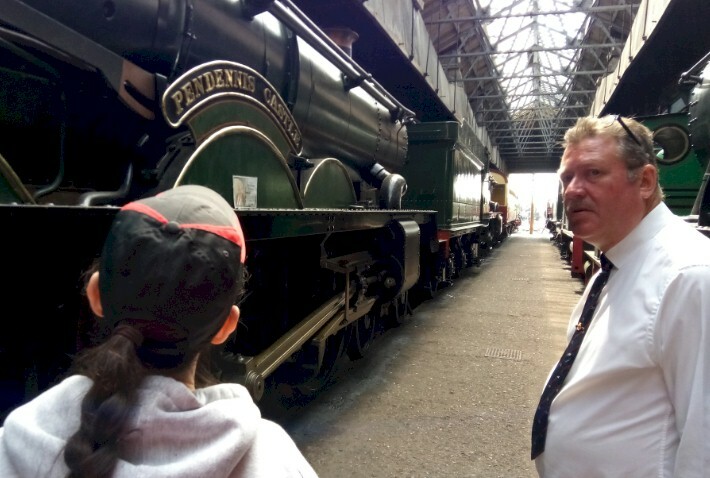 He took some time out of his busy schedule to provide us a tour of Paddington Station... and later he rode with us to the GWR's Didcot Centre. 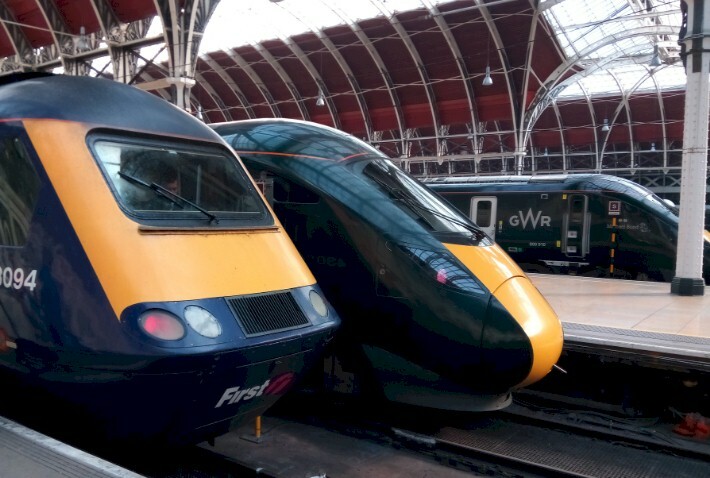 For the London terminus of the Great Western Railway, Isambard Kingdom Brunel, the engineer who built the Great Western Railway, was planning a grand building at Paddington. Instructed by the GWR to economise due to the soaring costs of building the main line, Brunel had to abandon his original plans. A temporary station opened in June 1838. The stunning Paddington station, as we know it today, opened in 1854 after the GWR decided their London terminal deserved something grander. Once again the task was entrusted to Brunel who was delighted to return to the project and 'build a station after my own fancy'. His design was largely inspired by the gleaming Crystal Palace which had hosted the Great Exhibition a few years before.. At the time, this was the largest train shed roof in the world with a main span that was more than 100 feet across. Brunel’s station was large enough to cope with the expansion of the Great Western Railway over the next 50 years. By the early 20th century new accommodation for increasing amounts of both traffic and employees was needed. On-going works from 1904 saw the footprint of Paddington Station increase, a more defined access area known as ‘The Lawn’ was created and more office space was created by extending the company’s offices along Eastbourne Terrace. Major changes included the building of ‘Span 4’ between 1913 and 1916 which increased the number of platforms at the station, and today covers platforms 9 to 16. 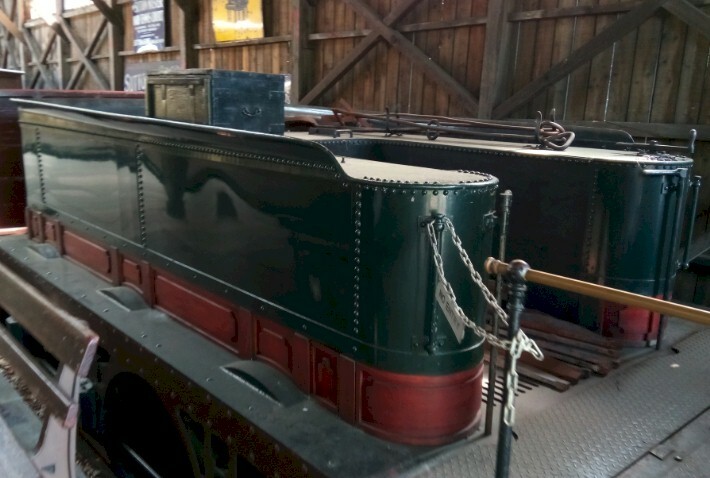 It was designed by the GWR’s engineer, W. Armstrong, with architectural features to match Brunel’s original roof as closely as possible. Further expansion of station buildings took place in the 1930's, including a striking new ‘art deco’ office block on the west side of the station, which also remodeled passenger facilities in ‘The Lawn’. During the 1990's, Paddington Station was extensively refurbished again. 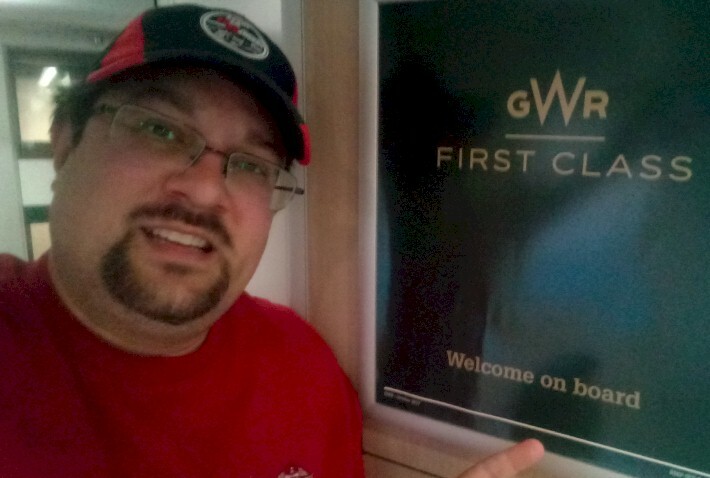 The highlight of the Paddington Station tour provided by David was a visit to the First Class Lounge. In 1842, Queen Victoria embarked upon her first ever train journey, traveling from Slough to Paddington in a carriage especially decorated for the occasion. While Victoria was charmed, her hubby Albert was apparently startled by the train’s 44mph speed and warned the driver to take it slower next time. 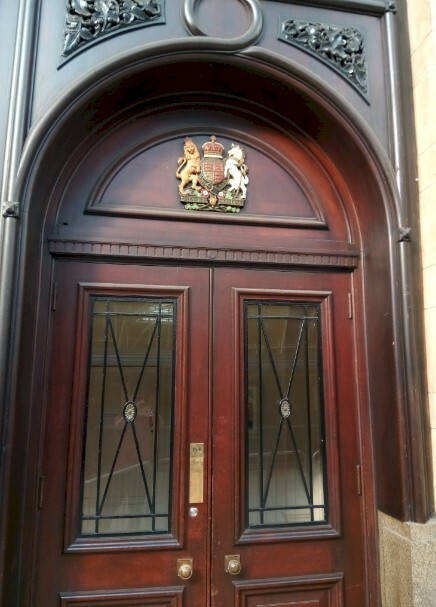 Thanks to its Windsor link, Queen Victoria became a regular Paddington commuter and was granted a royal waiting room – now the First Class Lounge on platform one. 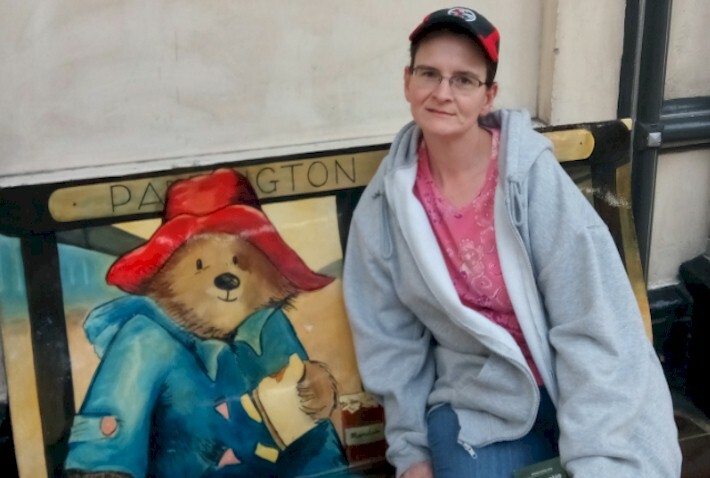 Another highlight of David's tour of Paddington Station was seeing the Paddington Bear Statue. 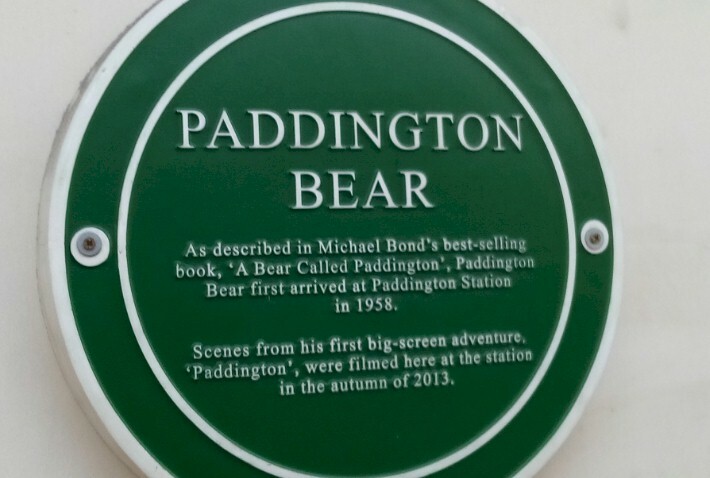 On Christmas Eve 1956, author Michael Bond spotted a teddy bear all on his lonesome in a shop close to Paddington station and couldn’t bear (yes, we love our puns!) to leave it there. Inspired, he purchased the stuffed critter and set to work writing ‘A Bear Called Paddington’. 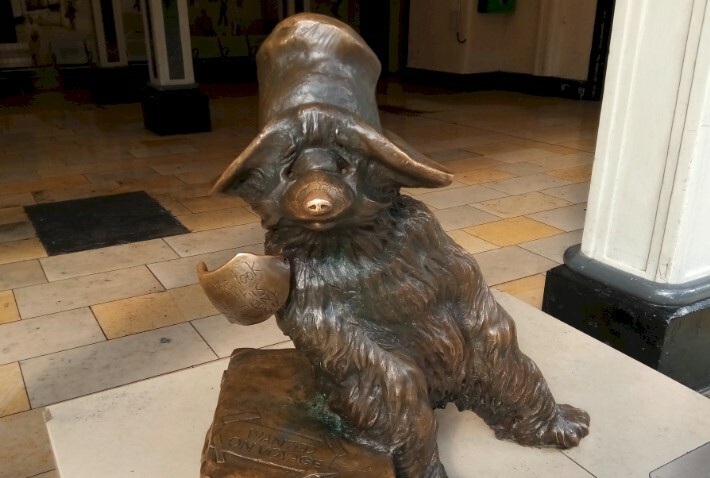 The book was published in 1958 and Padders has since gone on to become one of London’s most cherished mascots. Many people, including us, took our pictures with the famous statue who has a great view of all the train activity! 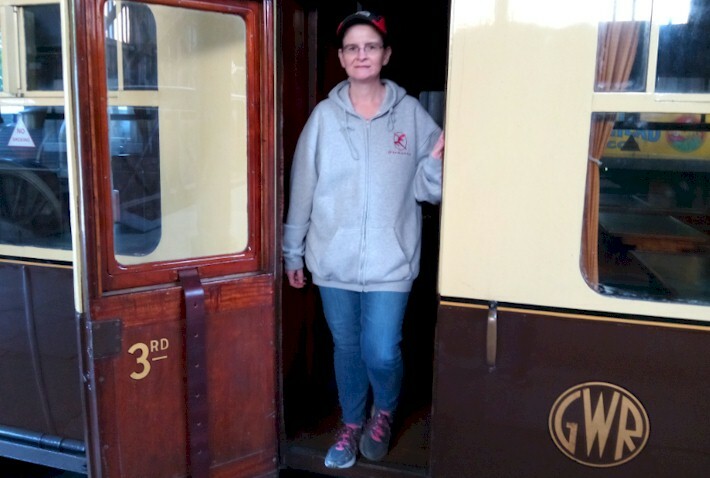 Before we knew it, it was time to 'ride the rails' on the GWR... a journey we had been looking forward to for many months. 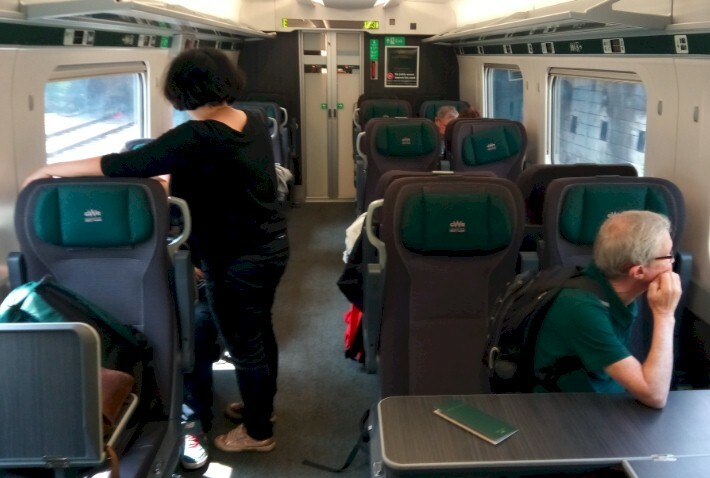 We left just after 9:00am to avoid the busier morning rush hour trains; it's always good to have room to spread out a bit! 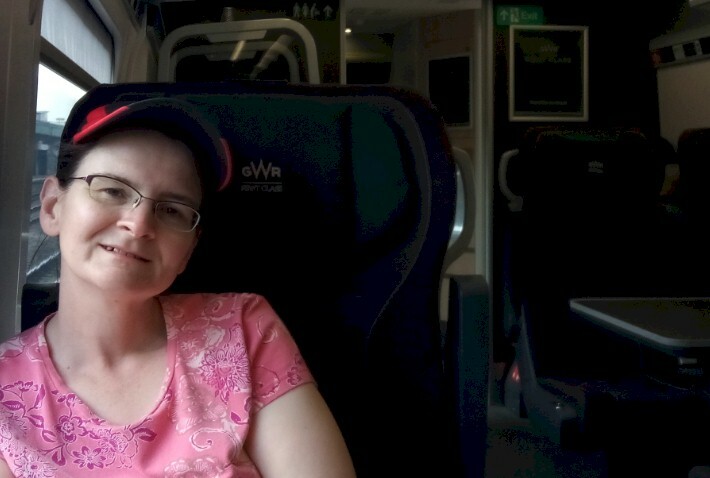 We were in Business Class on the train... which was well worth the upgrade with its free meal selections and drinks. 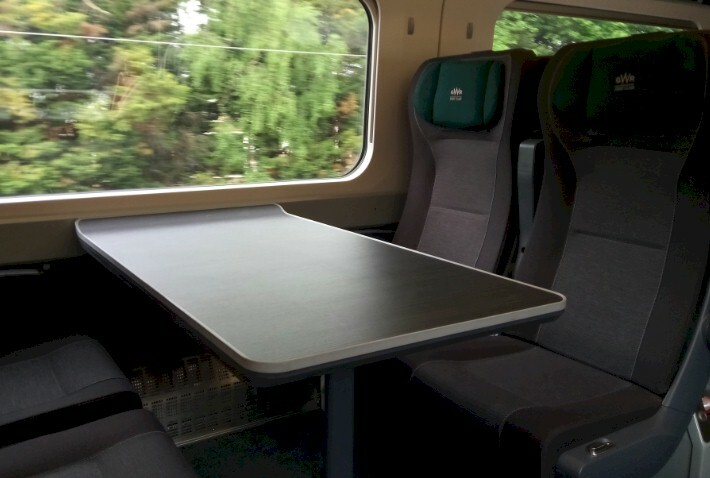 We feel everyone should consider the upgrade to Business Class when taking the GWR. 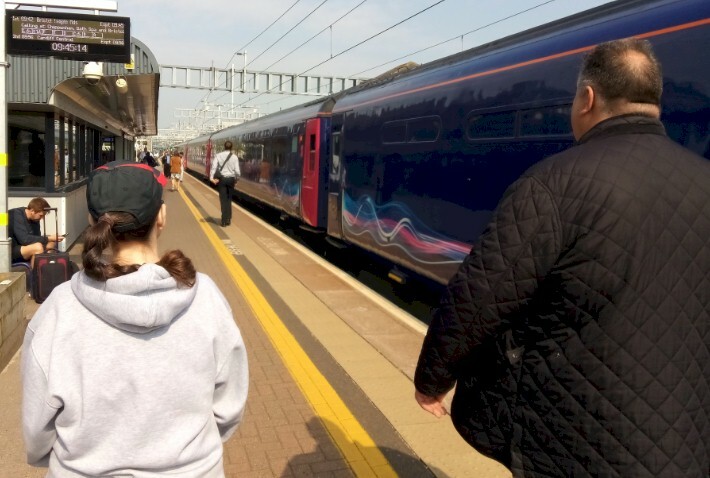 Anyway, we remarked to David that some of the scenery looked familiar leaving London... and he explained that the first 15 miles of GWR line is shared with the Heathrow Express train that we took a few days earlier (see our separate TrainWeb report here!) when traveling between the airport and Central London. 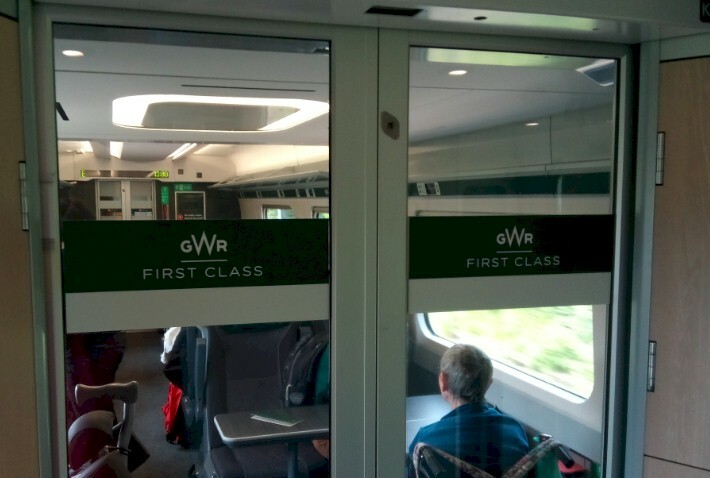 We enjoyed David's narration about what we were seeing out the window for about 45 minutes... peppered in with some great GWR history and other tidbits. 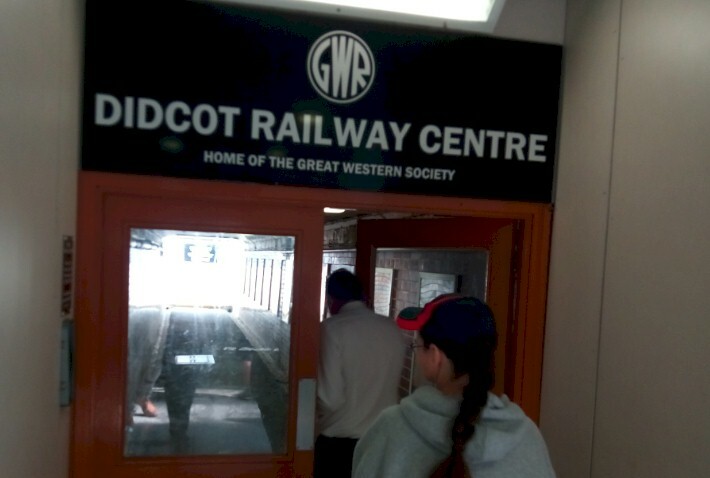 Just past Milepost 53, our train rolled into the Didcot Parkway Station... this is where we would be getting off to tour an amazing railroad museum known as Didcot Centre. 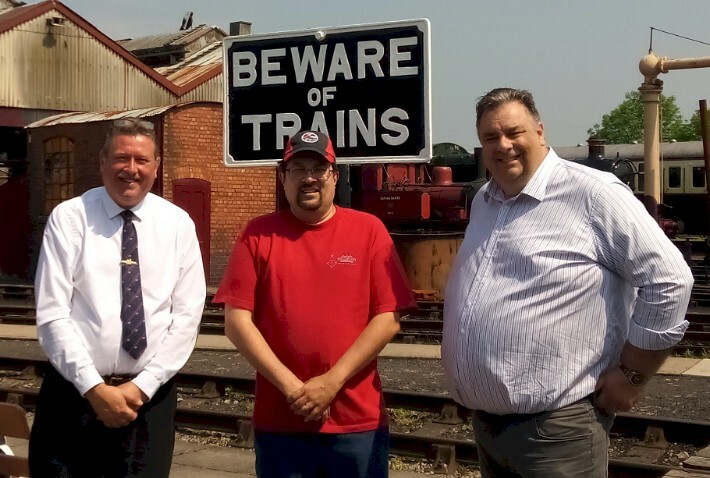 David agreed to stick around to show us around the museum; we were also joined by one of Didcot Centre's premiere tour guides Tony Peters. 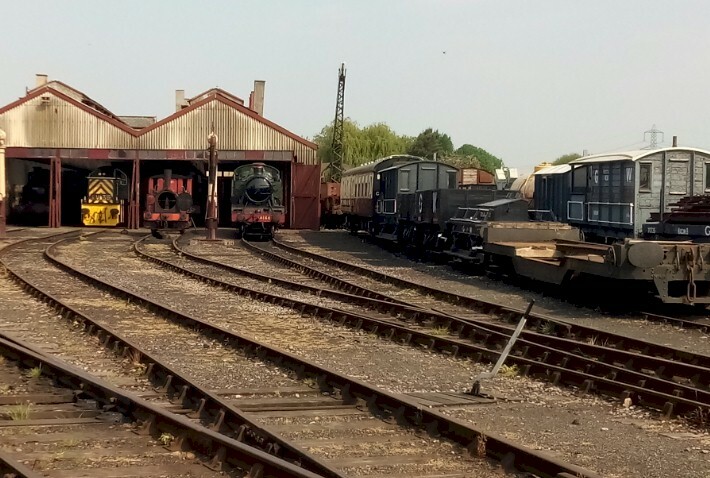 This is a working railyard, with sheds full of vintage steam locomotives spanning almost 100 years. 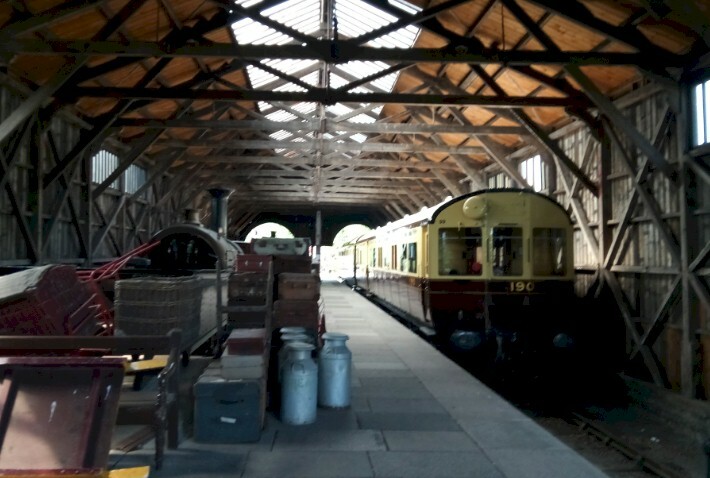 Next to the engine shed stand the active locomotive workshops. 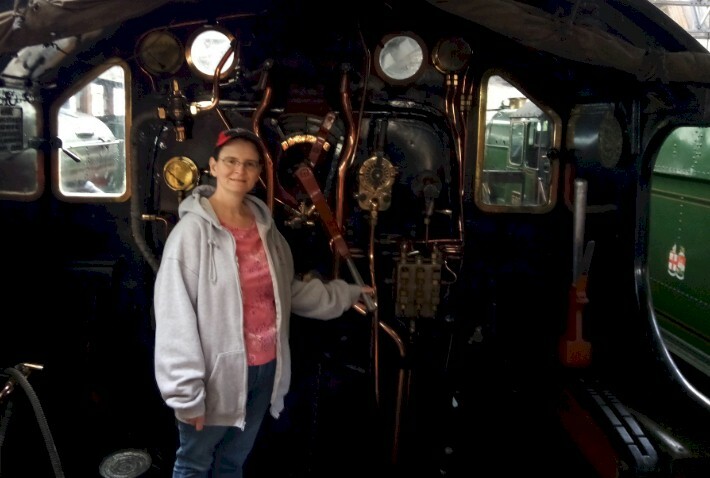 Here, knowledgeable volunteers like Tony rebuild, repair, refurbish and keep running these dramatic icons of industrial and social history. As importantly, they pass on to younger enthusiasts their knowledge and skills. Yes, this is both working railyard and museum—some three-quarters of a mile long, laced with tracks and sprinkled with coal dust. All these steam engines are fired with coal. 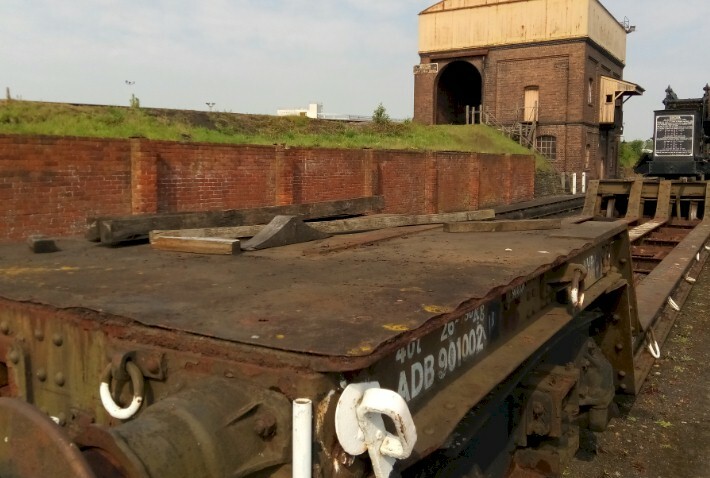 For a century at Didcot, the coal came by train in wagons and was loaded into the locomotive tenders via the huge brick Coal Stage. Another shed houses a carriage display, and there are signal boxes, water tanks, vintage stations and a working turntable. Didcot’s usefulness as a working depot ceased with British Rail’s conversion from steam to diesel, and the Didcot sheds were closed in 1965. 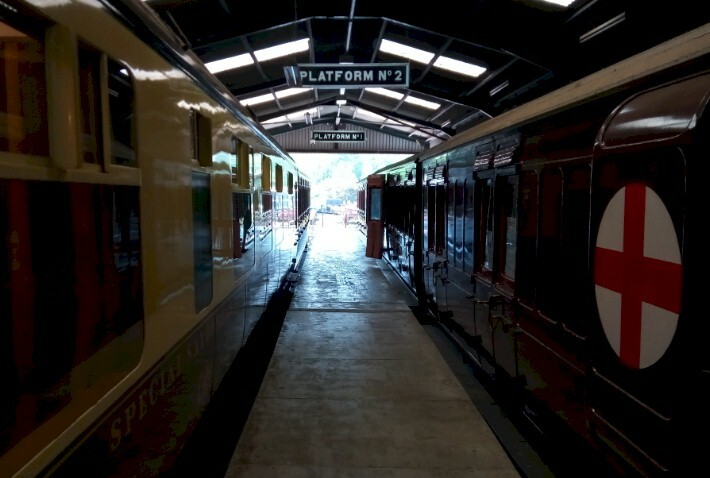 The Great Western Society was offered the site and moved in with three locomotives in 1967. 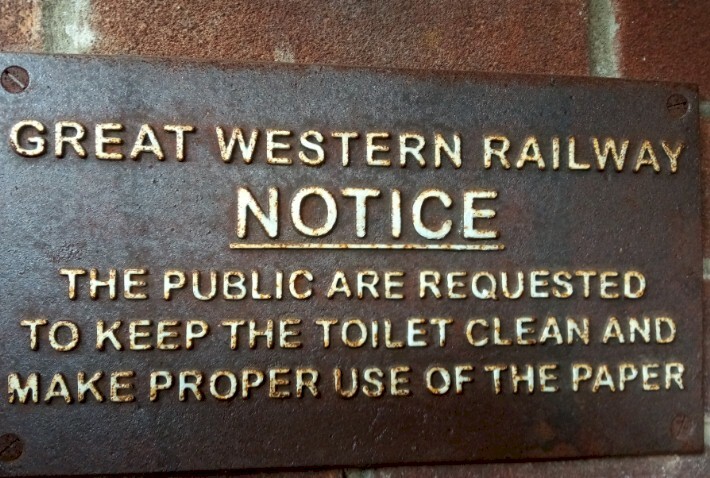 Today, the Great Western Society even runs train rides for the public. Unfortunately, we were not able to partake in this activity because we were there on a weekday. 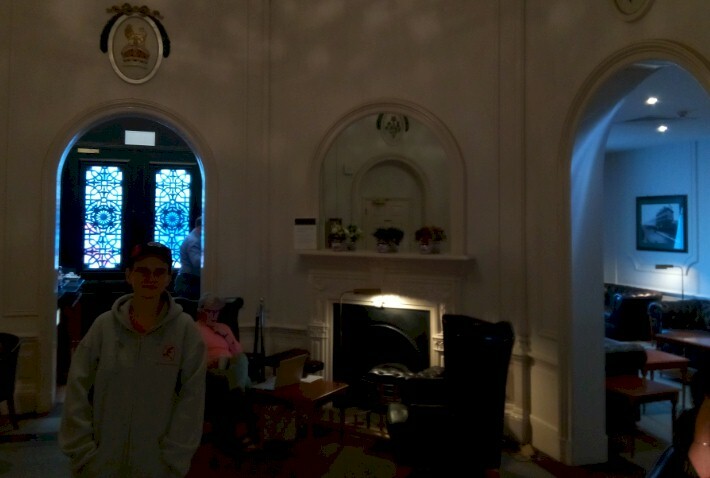 We spent a good two hours touring around the grounds of the museum and could have sent spent more time there, too, if we didn't want to proceed on with our train ride on the GWR. We boarded our train and enjoyed some sandwiches, which are one of the perks provided for Business Class customers. Just about 20 minutes after leaving Didcot we passed through Swindon. 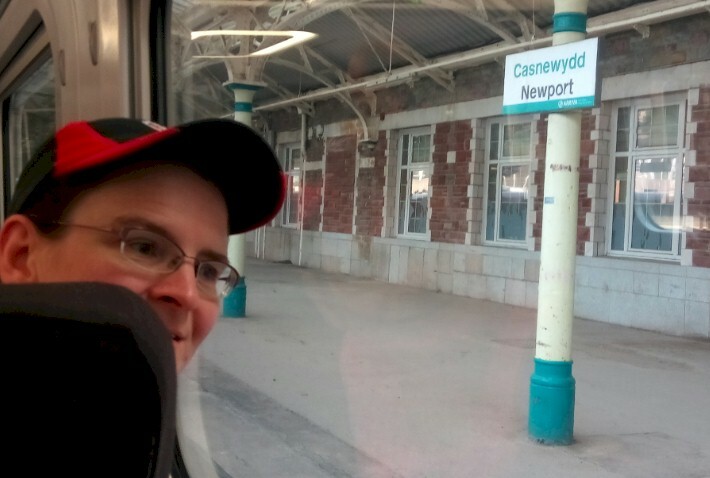 Again, this is where our train would branch off the original Main Line of the Great Western Railroad... for the rest of our trip we would now be on the South Wales Main Line. A little over an hour later... we arrived at the end of the line in Cardiff, Wales. 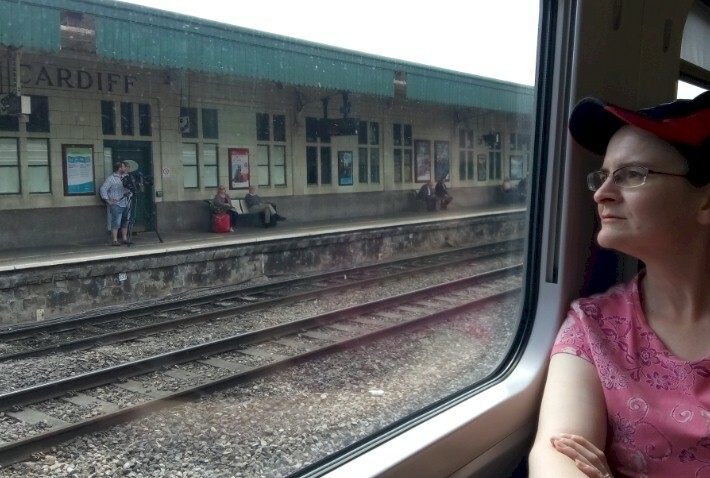 We had about a 90-minute layover in Cardiff before catching our train back to London. 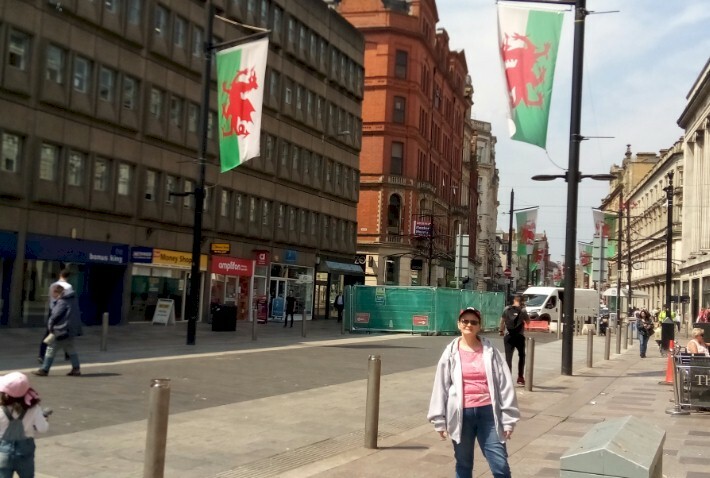 With that amount of time, we listed to David and Tony's suggestion of heading over to the public market in Wales... to buy a tasty regional pastry called 'Welsh Cakes'... a mix between a cookie and small piece of cake. Welcome to Cardiff! 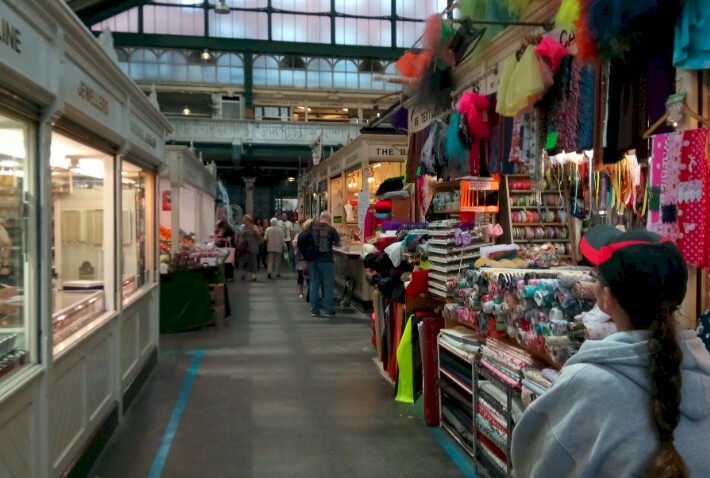 We had enough time between trains to explore their public market. 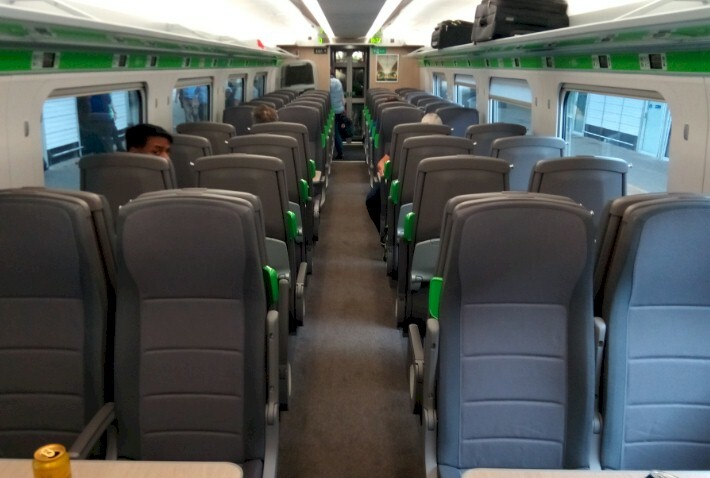 We boarded our eastbound train back to London... and enjoyed the two-and-a-half hour ride back along the same line back into London's Paddington Station. 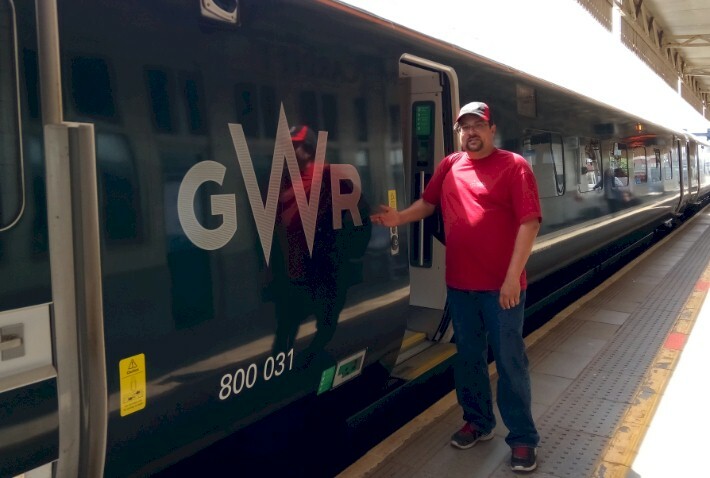 Before we wrap up this article, we would like to extend a special thank you to both David and Tony who were mentioned earlier in this article... and also Joe Thurgood, Account Manager for the Great Western Railway, for providing us additional assistance with this trip and TrainWeb article.